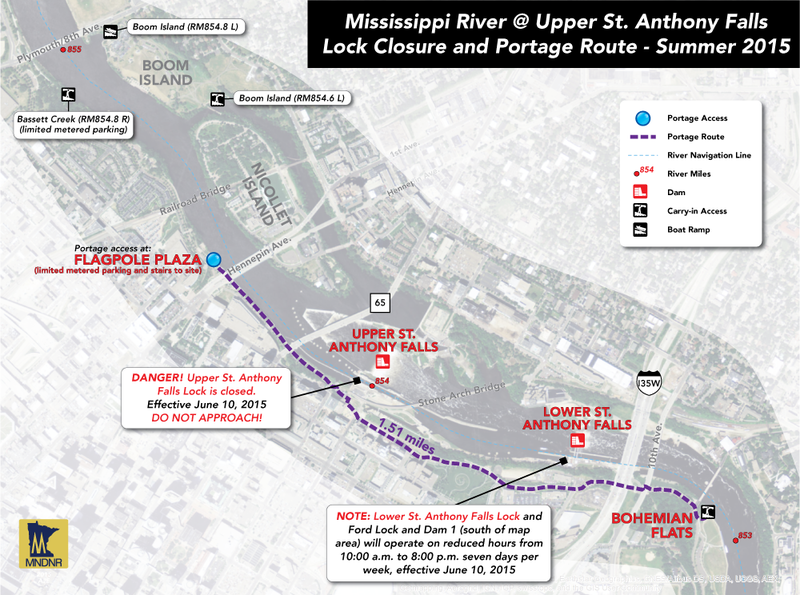 Upper St. Anthony Falls Lock is CLOSED. 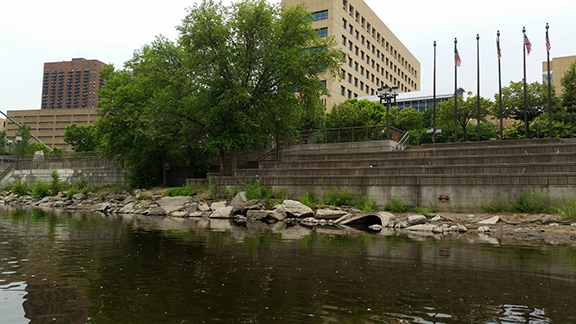 Effective June 10, 2015, Upper St. Anthony Falls Lock (RM 854R) is closed permanently. The adjacent dam is extremely dangerous. Exit the river upstream of the lock and dam. 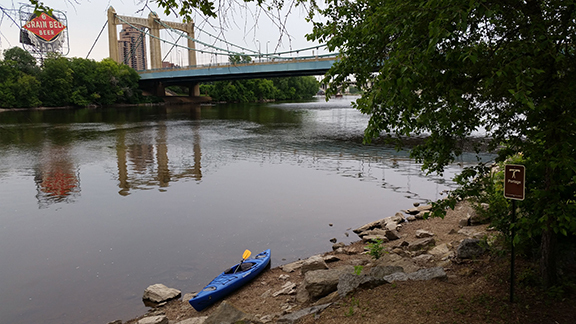 Paddlers: Use portage accesses on river right at Flagpole Plaza upstream of the dam and Bohemian Flats downstream of the dam. Take-out at Flagpole Plaza, on river right, across the river from the Grain Belt Beer sign.